Direct Salon Supplies Manicure table seat with tray. Available in Black or White. 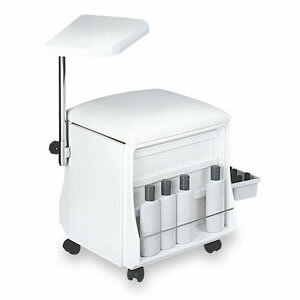 Mobile manicure table with pull out drawers and side storage for bottles. Please use the drop down box to choose your colour. Sizes: Height 47cm, Depth 31cm, Width 38cm.